Hey! 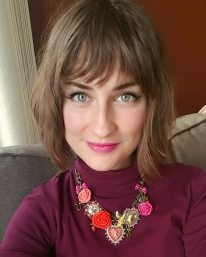 I've been busy preparing for my Indie Expo Canada presentation on June 9, 2018. It's so soon and I can't wait! 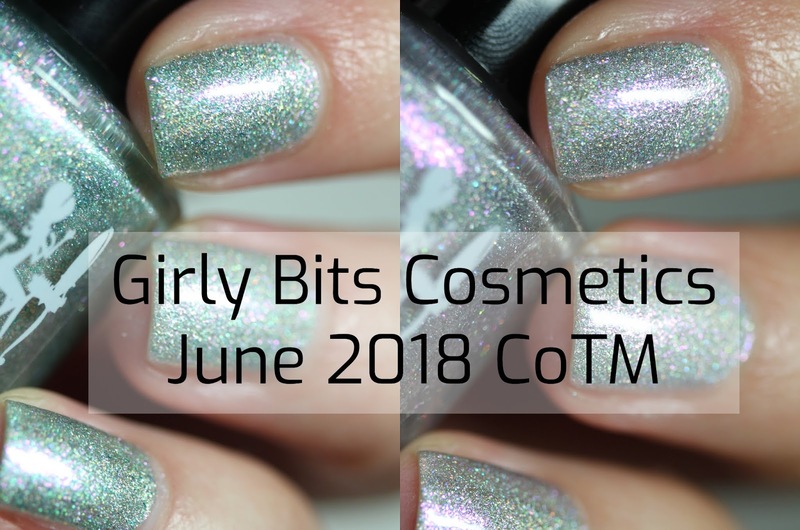 I had a chance to do some swatching so I have the Girly Bits June 2018 CoTM polishes for your eyes. The shop is currently closed while we prep for Indie Expo and Polish Con. We will re-open for orders on June 1st, but we will remain closed for shipping, which means that everything will be on PRE-SALE UNTIL JULY 2nd. The colour of the month will launch on June 1st, with the early bird special from June 1-10 as usual. The first polish in the June CoTM duo is Girly Bits What a Bunch Abalone is a silver holo packed full of pink to gold to green shifting shimmer. I am wearing two coats plus top coat. This covered extraordinarily well and was completely smooth with top coat. I really love the pink to gold to green shift and it's quite obvious in most lighting. I think this is perfect for Summer when you're looking for a break from the neon cremes and want something really holo and sparkly for the sunshine. And now, onto the second half of the CoTM duo: Girly Bits Shell Yeah is a soft minty green holo with a strong pink to gold shifting shimmer. Oh, this one is so pretty! I love how well this duo pairs together - they are like sisters from other misters. This one is similar in composition to What A Bunch of Abalone but much more green. Again, this has the same pink to gold to green shimmer and it's just so delicate yet sparkly. This was also two coats plus top coat for a completely smooth finish. If you like minty greens, this one is for you. As you can see in the macros, there is a really pretty mix of tiny glitters and maybe flakes that give a really complex finish overall. Both of these polishes were named by members of the Girly Bits Facebook group so join and suggest names for the next set of CoTM for a chance to win the polish (if your suggestion is chosen). Early Bird Special: Pick up the duo from the Duo Early Bird Promo listing at a discounted price of $1.00 off each bottle from the 1st until the 10th. After that, they will continue to be available for purchase individually for $16.50 as a pre-order until July 2, 2018. These will also be available at Indie Expo Canada so if you're heading there... stop at the Girly Bits table to say hello and grab your bottles so you don't have to wait another second!